Two hour cruise, champagne, wine, beer, soft drink, water, cheese, crackers, and shrimp cocktail included. 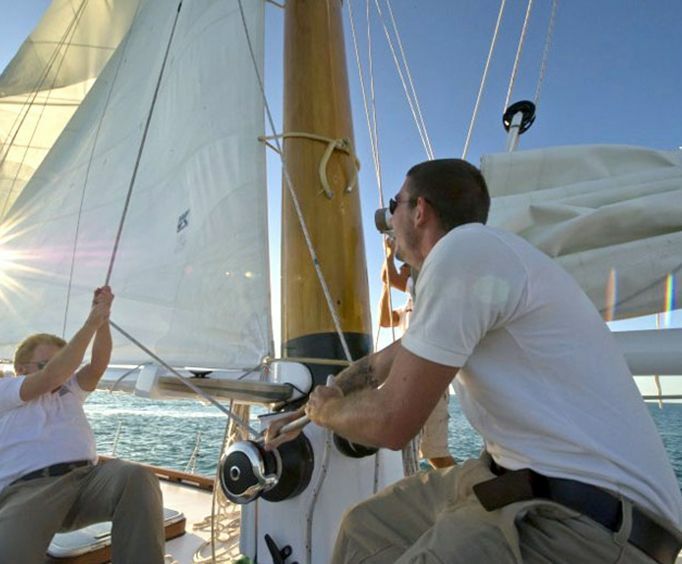 Sip champagne as you watch the sun set behind the beautiful Key West horizon on the Champagne Sunset Sail Aboard America 2.0; this cruise is sure to impress with its luxurious accommodations and stunning scenery. Guests will be able to sip on complimentary champagne and other alcoholic beverages as well as soft drinks and water as well as snack on shrimp, crackers, and cheese. 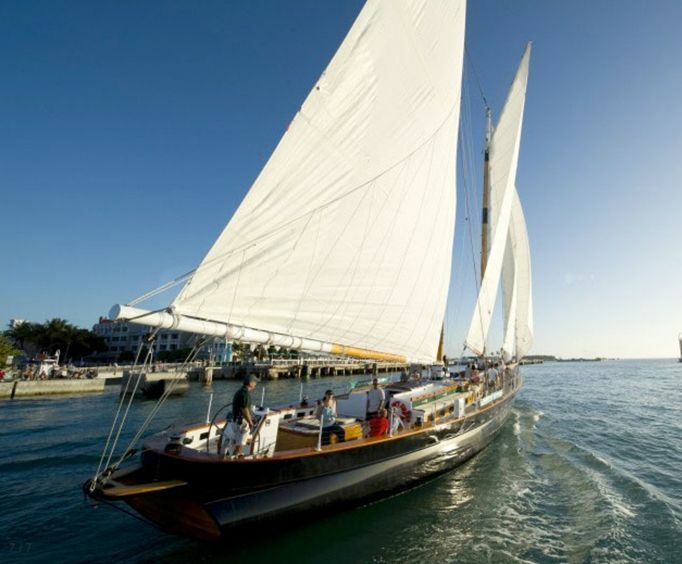 Sail along while you see sights such as Fort Zachary Taylor, Sand Key Lighthouse, Mallory Square, Sunset Pier, and the Key West's 'Green Flash'. While it provides fantastic views, the America 2.0 is a beauty to behold in itself. The ship is completely decked out with ornate mahogany trimmings and 105 feet of restored historical value. 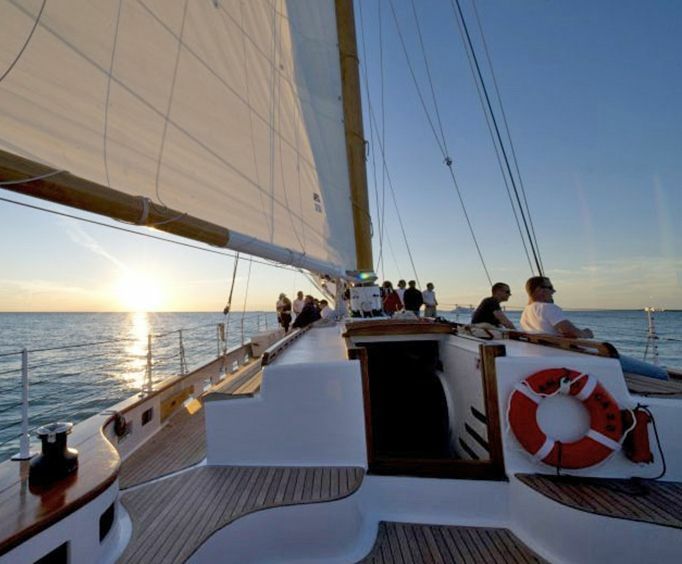 You definitely do not want to miss out on the opportunity to see some of the best parts of Key West with the romantic Champagne Sunset Sail Aboard America 2.0.